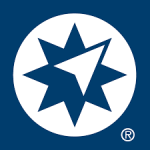 As an Ameriprise financial advisor, we believe success should be measured not just by your financial well-being, but by how confident you feel about your future. Our mission is to help you reach your financial goals through a personal relationship based on personalized, knowledgeable advice. This focus is designed to help you reach your goals, giving you greater confidence.